The eighth Ewald Prize has been awarded to Dr D. Sayre (Department of Physics, State University of New York, Stony Brook, NY 11794, USA) for the unique breadth of his contributions to crystallography, which range from seminal contributions to the solving of the phase problem to the complex physics of imaging generic objects by X-ray diffraction and microscopy, and for never losing touch with the physical reality of the processes involved. 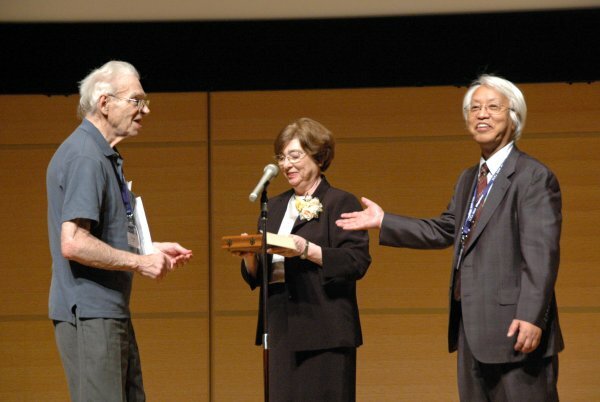 The presentation of the Ewald Prize was made during the Osaka Congress Opening Ceremony in August 2008. For a list of papers by Dr Sayre appearing in IUCr journals click here.